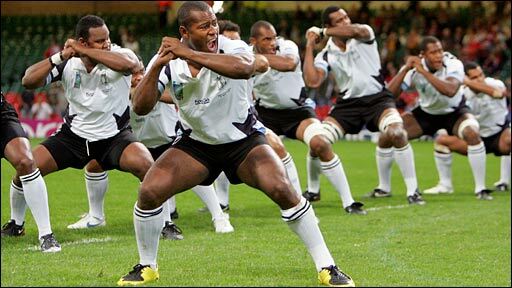 Rugby, the national sport of Fiji, is the one sport that every Fijian seems to love! Many villages even have their own rugby field. The rugby union is the one sport that has time and time again allowed Fiji to be recognized by the world for their incredible talent. The Fiji national rugby union sevens team competes in the Rugby Sevens World Series and at the Rugby World Cup Sevens. As one of the most popular and successful rugby sevens teams in the world, Fiji has won the prestigious Hong Kong Sevens a record sixteen times since its inception in 1976. And the Fiji team won the HSBC World Rugby Sevens Series title this year for the 2015-2016 season, for the second consecutive year. This is a huge milestone for Fiji! 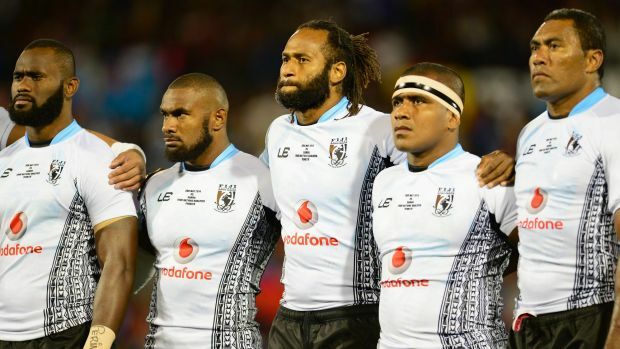 During the Las Vegas Sevens (one of the tournaments leading up to the World Rugby Sevens Series), Fiji came from 15-0 behind at half to successfully defend their HSBC USA Sevens Cup title. This was such a big deal because Fiji had just encountered Cyclone Winston. And they did. Winning the USA Sevens Cup title, allowed Fiji to accumulate the most points at the end of the HSBC World Rugby Sevens Series to be named the champions. Talk about Fiji heart. Currently, the Fiji team is HSBC World Rugby Sevens Series Champions. Right now, the Fiji team is busy preparing to compete in the rugby sevens at the Rio 2016 Summer Olympics! The first match ever dates back to the Fijians and British soldiers in 1884. It took many years to get the locals organized into teams and to develop a national team. In August 18, 1924 the national Fiji team played their first real game, playing Western Samoa. The Fijians won a 7 a.m. game 6-0 and continued on to a nine match tour of Tonga. Rugby season is from April to September and every village seems to have its own rugby field! Fijians are so prized at the sport that some hold contracts in Europe, New Zealand or Australia that don’t allow them to even play in Fiji. Fijians are known for their speed and agility. One of the most notable players for his achievements in the rugby sevens is Waisale Serevi. He is a former Fijian rugby union footballer and coach. He is widely considered as one of the greatest rugby sevens players ever. In the 15-man game, he played for Fiji 39 times between 1989 and 2003, and scored 376 points. This included representing Fiji in the 1991, 1999, and 2003 Rugby World Cups. Other notable names in the game include Mesake Rasari, Paula Bale, and Joeli Vidri. While you can certainly check out the Fiji team on television and at the Rio Olympics this year, but when you are in Fiji, nothing beat the energy of a game! Whether you are or aren’t a huge rugby fan, it is definitely worth going to a match, if even only to hang out with the excited crowd. Fiji’s national stadium is located in Suva and called ANZ National Stadium (known as ANZ Stadium). It’s pretty cool to have a national stadium as many countries like Spain and the United States, do not have a national stadium designated as such; instead matches are rotated throughout the country. ANZ stadium in Suva is primarily for rugby league, rugby union, and football matches. It has covered seating for 4,000 people, and an area that can accommodate an additional 15,000 people.